To people visiting this site after following the link from the Apollo Quartet audio book humble bundle (here), apologies. I normally write about science fiction and writing and critcism and sometimes even space exploration and technology… but for the past 18 months the $dayjob has sort of taken over and this blog has sort of turned into a film blog. I like films, I’ve always liked films. And I like to think I have good taste in films. 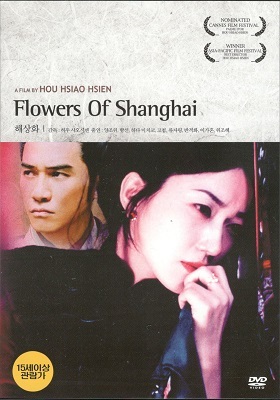 I especially like films from other cultures, or from directors with very distinctive visions – auteurs, if you will. So, sadly, I’ve been blogging a lot about films for the last year or so. Normal service will be resumed at some point. Then I’ll starting writing criticism and stuff about science fiction, I’ll have the bandwidth to to invest in that sort of stuff. But, for now, it’s movies mostly. But they are good movies. Mostly. King Kong*, Merian C Cooper & Ernest B Schoedsack (1933, USA). Everyone knows the story of King Kong – you know, giant ape, “was beauty killed the beast” – although it’s likely from one of the remakes. The one I remember best is the Jessica Lange one from 1976… although, I say “remember”, but all I can actually recall is the basic story – you know, giant ape, “was beauty killed the beast”… This 1933 edition is the original, made by the guys who actually invented King Kong. A film director known for making adventurous and dangerous films is about to embark on his latest project, shooting on an island whose location he refuses to reveal. He has decided his project needs a love interest but can find no actress willing to accompany him on his expedition/shoot. Desperate, he goes looking for a suitable star on the night the ship he has chartered is due to depart… and stumbles across homeless Fay Wray, who is more than happy to accept his somewhat vague offer of employment. The ship sails to an uncharted island somewhere in the Pacific, where the natives worship a giant ape called Kong, and sacrifice young women to it at intervals. When the natives catch sight of Wray, they know Kong just gonna love her. (Why? Kong is a gorilla. Surely he lusts after, well, other gorillas?) The natives kidnap Wray and leave her for Kong. First mate on the ship and male love interest charges off to rescue her. There’s lots of stop-motion photography of Kong fighting dinosaurs. For 1933, it’s pretty effective. The hardy Americans manage to capture Kong, and take him back to New York to exhibit him to an eager audience… This is pure pulp, and unashamedly so. And, I guess, it could qualify as seminal, given that King Kong himself has become a cultural icon. And I can certainly understand the argument that seminal movies, as well as ones that are just plain excellent, belong on the 1001 Movies you Must See Before You die list… And, let’s be fair, King Kong is pretty trashy, but it’s entertaining trash and it never claimed to be anything more (unlike some of its remakes kof kof). I’ve now seen it, I’m glad I’ve seen it, I’ll likely never ever see it again, but that’s okay. The Salesman, Asghar Farhadi (2016, Iran). The title refers to Arthur Miller’s play, as the film’s two leads are rehearsing for a production of it in Tehran in which they play the chief roles. The film opens with their family fleeing from their apartment building as the tenants are afraid it is about to collapse – a wall has fallen over, and building standards are apparently so poor in Iran it’s not uncommon for the entire building to follow suit. Forced to find another home, they turn to a fellow cast-member, who offers them a recently-vacated apartment in his building. So they move in. The other tenants in the building, remembering the previous tenant of the apartment, are a little worried, because, well, because of what happens. One evening, on her own in the flat, the wife takes a shower. The entryphone buzzes. Thinking it’s her husband returning from the supermarket, she presses the button and unlocks the front door. It is not her husband. And when he does arrive home, he finds his wife is missing and there is blood in the bathroom. She’s in hospital, having been assaulted. She doesn’t know who her assailant was. But he’d been surprised by neighbours, and ran off, leaving his pickup truck behind. So the husband uses it to track the man down… You can imagine how this would go if it were made in Hollywood, with either Bruce Willis or Liam Neeson… Happily, it doesn’t do that. The wife wants to forget about the incident, the husband wants revenge. And when he identifies the attacker, he sets out to have his revenge, only for that to go not as intended. I know of ‘Death of a Salesman’, but I’m not that familiar with it, so how it integrates into the story of the film is lost on me. I suspect the two stories resonate off each other, but I’m guessing – you don’t see enough the play in the film to judge. I was less than taken with Farhadi’s film prior to this, The Past, which felt like an ordinary French drama, but The Salesman is much, much better, a return to the films Farhadi had been making before. Sofia’s Last Ambulance, Ilian Metev (2012, Bulgaria). The title is a bit of a fib, as this documentary doesn’t follow the actual last ambulance still operating in the Bulgarian capital, although the fleet is a fraction of what it once was. It’s the age-old story: a civilised society creates free healthcare for all… but then in come the capitalists and rentiers and plutocrats and they know people will never refuse to pay for medical care so they defund and destroy the public system, then mendaciously claim it doesn’t work, and so privatise it, thus earning themselves great profits. This should be made a crime. It’s no better than selling arms – worse, in fact, because people can choose not to pull the trigger, but they cannot choose not to be ill or injured. It’s past time for a change in attitude: profiting from healthcare is the action of scumbags. Anyway, Sofia’s Last Ambulance follows a single ambulance over several days. The camera remains focused throughout on the crew, and the patients are never revealed. Many of the scenes show them sitting in the cabin of their ambulance. Judging by the way the vehicle bounces around, the roads in Sofia are also in a shocking state. There are several scenes also set in the back of the ambulance, including one where a man involved in a RTA is in severe pain and keeps on sitting up, despite being repeatedly told not to – so much so, the paramedic tells him, “If you don’t lie down, you’ll leave your leg here on the stretcher!” (or words to that effect). The scariest part about Sofia’s Last Ambulance is that it’s a pretty good indication of what the NHS will look like post-Brexit, post- a decade of Tory cuts and corruption and robbery and lies. I’m actually starting to look back on Thatcher’s government with fondness, that’s how incompetent, malicious, corrupt and damaging both Cameron’s and May’s governments have been, and still are being. Their excuses are so thin, only a moron would swallow them. Bah. Sofia’s Last Ambulance: an excellent documentary. The UK’s Conservative government: a bunch of criminals that has repeatedly abused human rights. Children of Heaven, Majid Majidi (1997, Iran). While there’s no mistaking Iranian cinema, I do sometimes have trouble distinguishing its directors – well, mostly. Children of Heaven, for example, reminded me of The Apple, but that was directed by Samira Makhmalbaf. And while Kiarostami possessed a singular vision, it was evident more in the structure of his films than in the shots he framed or the stories he told. Of course, there’s always a danger in confusing characteristics of a nation’s cinema with the visions of individual directors. After all, not every film made in India is three hours long and features singing and dancing. And while I’ve seen a number of films from Iran – twenty-one, at the last count – I doubt that’s enough to get a true handle on the film-making traditions in the country. After all, in this Moving pictures post alone, there are two Iranian directors, Majidi and Farhadi, and both create very different films, but both of which seem, to me, very much portraits of their country. In Children of Heaven, a young boy and his younger sister are forced to share a pair of ratty old plimsolls – because the sister’s shoes were stolen when the boy was on way hone from picking them up from the cobbler. The shoe-sharing results in the boy being late for school several times, and also several amusing incidents with the girl losing one or the other plimsoll (as they’re too big for her). But then she spots her old shoes on another girl’s feet, and follows her home. But she can’t work up the courage to claim her shoes back, and the girl seems in innocent of the theft anyway. The boy’s school then announces there is a nation-wide children’s 4-km running competition, the third prize for which is a holiday and a pair of Adidas trainers. The boy enters, and wins a place on his school’s team. He wants to win third prize, so he can have the trainers, and his sister then have the ratty plimsolls for herself… For a film whose two leads are under the age of ten but operating in an adult world, it comes as no surprise that Children of Heaven is big on charm. There’s not a great deal in the lives of the working-class Iranian in Tehran that’s actually charming per se – their father has to beg for work, and goes round pressing on entry buzzers at big houses asking for gardening work. and, to be fair, the whole plot hinges on the fact the family cannot to keep the two children properly shod. But the two kids are absolutely fantastic in their roles, and seeing how well they handle their parts actually makes the movie quite uplifting. They’re all in tears at the end, and they’re not tears of happiness, but it’s nonetheless a happy ending. 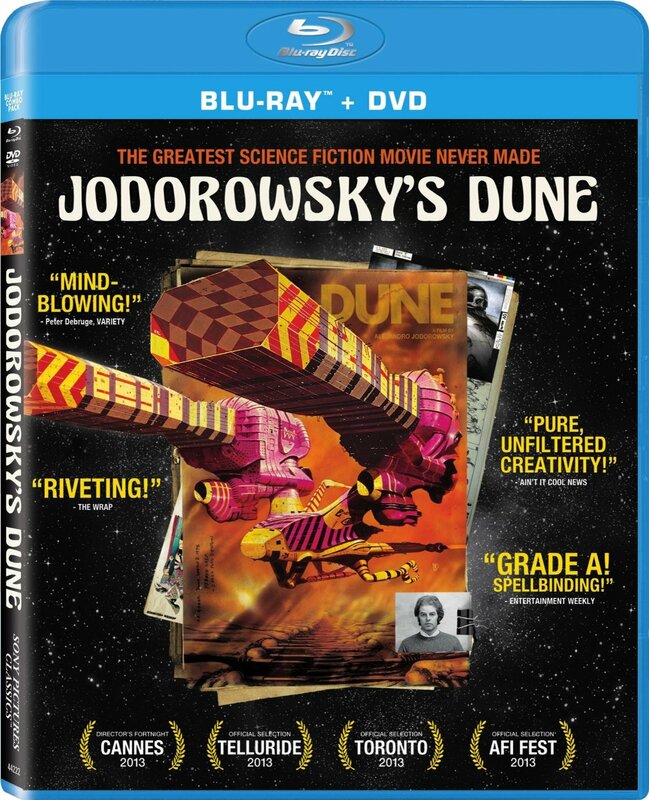 I forget now why I added this film to my rental list, but it really is very good. Definitely worth watching. Once upon a Time in Anatolia, Nuri Bilge Ceylan (2011, Turkey). I forget also why I added this to my rental list – or rather, I forget who recommended it and when. I’ve watched less than half a dozen films from Turkey, but I know Ceylan’s name from Uzak, which I watched back in 2012. And I remember it as being very good. Which ended up making Once Upon a Time in Anatolia something of a curate’s egg. It feels in part like an attempt at a Tarantino film (but why would anyone want to do that? ), and follows a plot that could take place just about anywhere… yet it’s still peculiarly Turkish. The police have driven two murders out into the country to dig up the body of their victim. But the murderers are having trouble remembering precisely where they buried it. Meanwhile, the police talk among themselves, sometimes in Tarantino-esque dialogue, sometimes in the sort of elliptical hypothetical story more common in East European/West Asian films and stories. Eventually, the murderers take the police to the right place, and they dig up their victim. But then they realise they have no body-bags, and the corpse won’t fit in the boots of their cars. Ths is a film in which the story being told is actually incidental to the dialogue – the hunt for the murder victim’s buried body just provides structure, everything is in the conversations between the principals. And the problem with such films is that because the dialoguie skips all over the place, there’s no real structure to the story. Once upon a Time in Anatolia works because the hunt for the body is surreal enough, and yet real enough, to provide a framework for the dialogue. And some of the dialogue also links back into the framing plot – such as the one about the man whose wife died of mysterious means on the day she said she would die, and how an autopsy revealed she’d had a heart attack but not how she’d been able to predict it – and that connects to the autopsy of the murder victim and its findings. 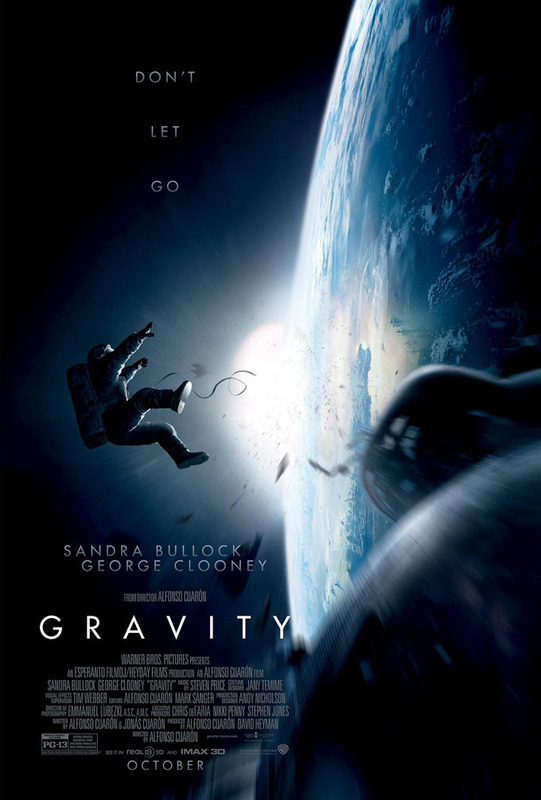 A good film. I think I’ll add the rest of Ceylan’s oeuvre – he’s made seven feature-length films, all of which are available – to my rental list. Eroica, Andrzej Munk (1958, Poland). Munk’s Passenger is an incomplete classic of cinema, but he apparently managed to finish three movies, of which Eroica is the second. Though the the title refers to a piece of classical music – by Beethoven – its alternative title of “Heroism”, while obvious in the way US publishers like to be obvious, does explain its story better. 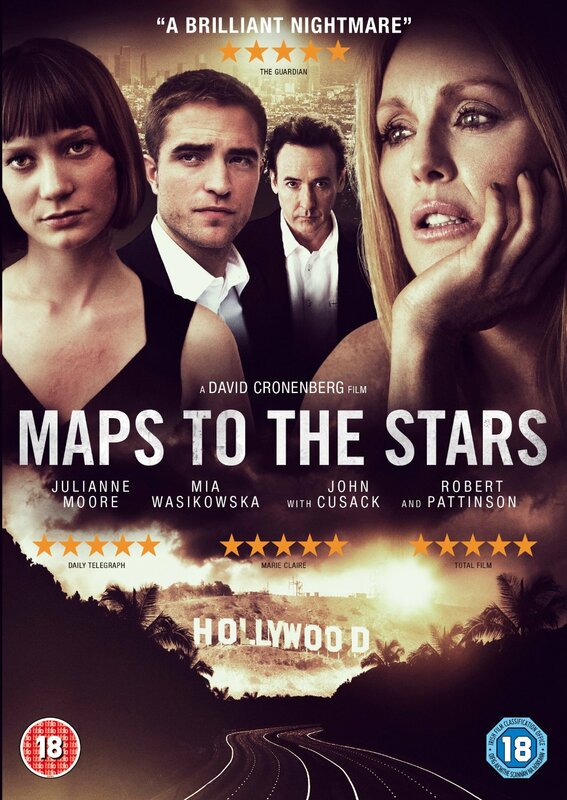 The film consist of two separate stories, both of which take place in Poland during WWII. (There was apparently a third segment, but Munk cut it, and it eventually appeared on Polish television fourteen years later.) In the first story, a con-man deserts from his home guard unit and returns home to discover his wife has taken up with the commanding officer of the Hungarian company garrisoned locally. The Hungarian tells him he’s willing to change sides, and bring his men and artillery over to the Poles. So the con-man – called Dzidziuś, which Google translate tells me means “baby”, but which the subtitles translate as “Babyface”, an odd name for a man in his thirties – must walk to Warsaw to tell the Home Army about the Hungarian’s offer. And then head back home to offer terms, and then back again to give the Hungarian’s response. The second story is set in a POW camp. A Polish officer allegedly succeeded in escaping, the only one to do so, and his success has been good for morale. Except, he didn’t escape, he’s been hiding in the attic all the time. But those who know this can’t reveal it because he would then be taken by the German guards and, of course, it would be bad for prisoner morale. Meanwhile, the other prisoners make assorted fruitless attempts to escape. 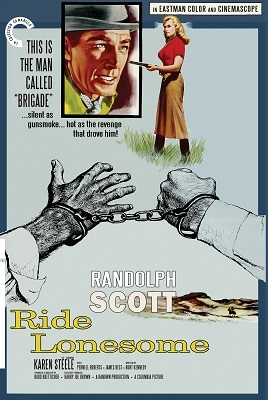 The story focuses on a group of officers sharing a single bunk-room – the camp comprises stone buildings, rather than the wooden huts more commonly seen in such films – as seen thrugh the eyes of two new prisoners assigned to the room. It doesn’t take a genius to see how the alternative title applies, although they’re typically Polish, and blackly comic, definitions of the term: the man who performs heroic deeds simply in order to have an easier life, and the hero whose reputation rests on a deed that was a lie. Another solid entry in the Masterpieces of Polish Cinema volumes. Categories: film review, films, moving pictures 2017 | Tags: andrzej munk, asghar farhadi, ernest b schoedsack, ilian metev, majid majidi, merian c cooper, nuri bilge ceylan | Permalink. 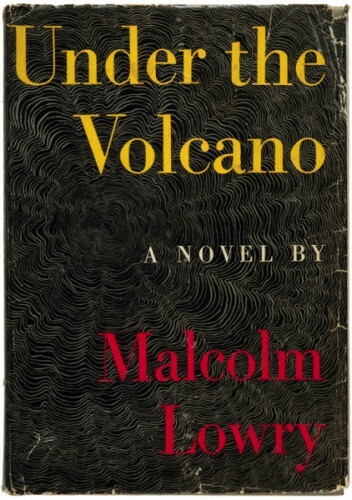 1 Under the Volcano, Malcolm Lowry (1947) A classic of British literature and rightly so. I fell in love with Lowry’s prose after reading ‘Into the Panama’ in his collection Hear Us O Lord from Heaven thy Dwelling Place, although I already had a copy of the novel at the time (I’d picked out the collection, Under the Volcano and Ultramarine from my father’s collection of Penguin paperbacks back in 2010). Anyway, Under the Volcano contains prose to be treasured, though I recommend reading Ultramarine and Lowry’s short fiction first as it is semi-autobiographical and you can pick out the bits he’s used and re-used. This book was also in my Best of the half-year. 2 Winter’s Bone, Daniel Woodrell (2006) I’d bought this because I thought the film was so good and because Woodrell had been recommended to me. But instead of the well-crafted crime novel I was expecting to read, I found a beautifully-written – and surprisingly short – literary novel set in the Ozarks that was perhaps even better than the movie adaptation. I plan to read more by Woodrell. Winter’s Bone was also in my Best of the half-year. 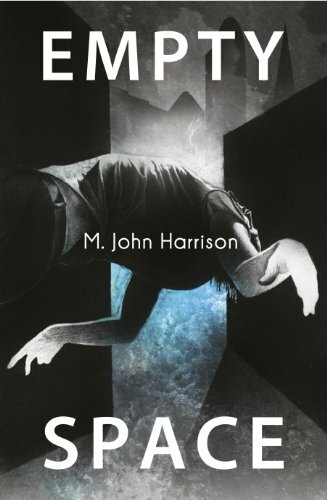 3 Empty Space: A Haunting, M John Harrison (2012) The third book in the Kefahuchi Tract trilogy, and I’m pretty damn sure I’ll have to reread all three again some time soon. Although the fulcrum of the story is Anna Waterman and the strange physics which seems to coalesce about her, Empty Space: A Haunting also does something quite strange and wonderful with its deployment of fairly common sf tropes, and I think that’s the real strength of the book – if not of the whole trilogy. And this is another one that was in my Best of the half-year. 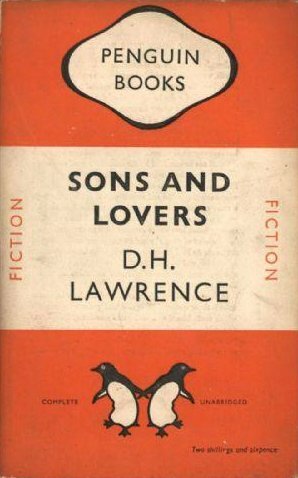 4 Sons and Lovers, DH Lawrence (1913) When I looked back over what I’d read during 2013, I was surprised to find I held this book in higher regard than I had previously. And higher than most of the other books I’d read during the year too, of course. At the half-year mark, I’d only given it an honourable mention, but it seems to have lingered and grown in my mind since then. It is perhaps somewhat loosely-structured for modern tastes, but there can be little doubt Lawrence fully deserves his high stature in British literature. 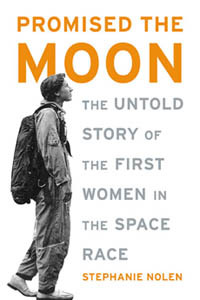 5 Promised the Moon, Stephanie Nolan (2003) I did a lot of research for Then Will The Great Ocean Wash Deep Above, and this was the best of the books on the Mercury 13. But even in its own right, it was a fascinating read and, while sympathetic to its topic, it neither tried to exaggerate the Mercury 13’s importance nor make them out to be more astonishing than they already were. If you read one book about the Mercury 13, make it this one. Oops. Bit of a genre failure there – only one sf novel makes it into my top five, and that was published last year not this; although four genre books do get honourable mentions – two from 2013, one from 2010 and one from 1989. I really must read more recent science fiction. Perhaps I can make that a reading challenge for 2014, to read each new sf novel as I purchase it. And I really must make an effort to read more short fiction in 2014 too. 1 About Elly, Asghar Farhadi (2009) A group of young professionals from Tehran go to spend the weekend at a villa on the Caspian Sea. One of the wives persuades her daughter’s teacher, Elly, to accompany them (because she wants to match-make between the teacher and her brother, visiting from his home in Germany). Halfway through the weekend, Elly vanishes… and what had started out as a drama about family relationships turns into something very different and unexpected. This film made my Best of the half-year. 2 The Consequences Of Love, Paolo Sorrentino (2004) The phrase “stylish thriller” could have been coined to describe this film, even if at times – as one critic remarked – it does resemble a car commercial. A man lives alone in a hotel in a small town in Switzerland. Once a week, a suitcase containing several million dollars is dropped off in his hotel room. He drives to a local bank, watches as the money is counted by hand and then deposited in his account. 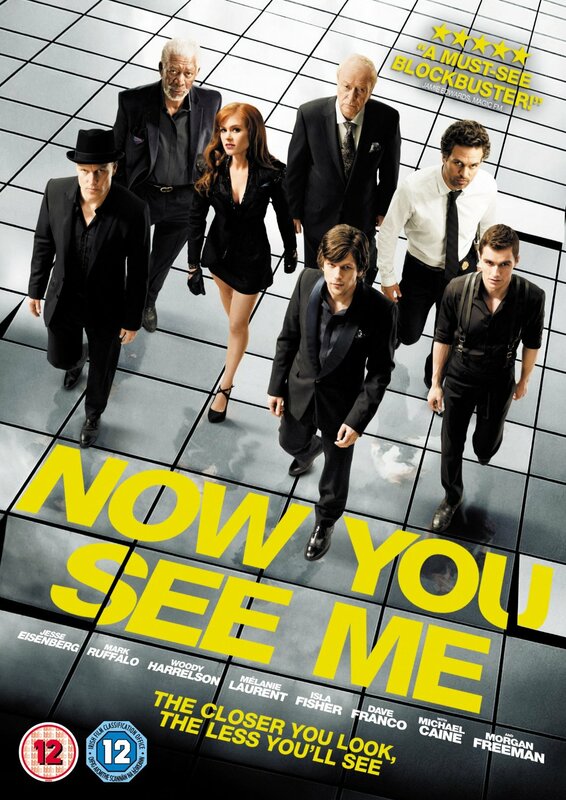 One day, the young woman who works in the hotel bar demands to know why he always ignores her… and everything changes. 3 Le Mépris, Jean-Luc Godard (1963) I don’t really like Godard’s films, so the fact I liked this one so much took me completely by surprise. Perhaps it’s because it feels a little Fellini’s 8½ if it had been made by Michelangelo Antonioni. I like 8½, I like Antonioni’s films. Perhaps the characters are all drawn a little too broadly – the swaggering American producer, the urbane European director (played by Fritz Lang), the struggling novelist turned screenwriter, and, er, Brigitte Bardot. Another film that made my Best of the half-year. 4 Only Yesterday, Isao Takahata (1991) An animated film from Studio Ghibli which dispenses entirely with whimsy and/or genre trappings. A young woman goes to stay with relatives in the country and reflects on what she wants out of life. The flashback sequences showing her as a young girl are drawn with a more cartoon-like style which contrasts perfectly with the impressively painterly sequences set in the countryside. Without a doubt the best Ghibli I’ve seen to date… and I’ve seen over half of them so far. 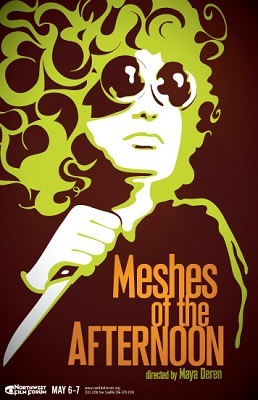 Once again, a film that made my Best of the half-year. Honourable mentions: She Should Have Gone to the Moon, Ulrike Kubatta (2008), an elegantly-shot documentary on the Mercury 13; Gertrud, Carl Theodor Dreyer (1964), grim and Danish but subtle and powerful; Man With A Movie Camera, Dziga Vertov (1929), astonishing meta-cinema from the beginnings of the medium; Sound of My Voice, Zal Batmanglij (2011), Brit Marling is definitely becoming someone to watch; Love in the Afternoon, Éric Rohmer (1972), the best of Rohmer’s Six Moral Tales; The Confrontation, Miklós Jancsó (1969), more socialist declamatory and posturing as a group of students stage their own revolution; Tears For Sale, Uroš Sotjanović (2008), CGI-heavy Serbian folk-tale, feels a little like Jeunet… but funny and without the annoying whimsy; Ikarie XB-1, Jindřich Polák (1963), a Czech sf film from the 1960s, what’s not to love? ; Dear Diary, Nanni Moretti (1993), an entertaining and clever paean to Rome and the Italian islands, and a rueful look at the Italian health service; and The Sun, Aleksandr Sokurov (2005), a poignant and beautifully-played character-study of the Emperor Hirohito in 1945. This year for a change I’m also naming and shaming the worst films I watched in 2013. They were: The Atomic Submarine, Spencer Gordon Bennet (1959), a typical B-movie of the period with the eponymous underwater vessel finding an alien saucer deep beneath the waves; Cyborg 2: Glass Shadow, Michael Schroeder (1993), an unofficial sequel to the Van Damme vehicle and notable only for being Angelina Jolie’s first starring role; The Girl from Rio, Jésus Franco (1969), Shirley Eaton as Sumuru, leader of the women-only nation of Femina, plans to take over the world, it starts out as a cheap thriller but turns into cheaper titillatory sf; The 25th Reich, Stephen Amis (2012), WWII GIs in Australia find a UFO, go back in time millions of years to when it crashed, then a Nazi spy steals it and ushers in an interplanetary Nazi regime, bad acting and even worse CGI; Battlestar Galactica: Blood and Chrome, Jonas Pate (2012), they took everything that had been good about Battlestar Galactica and removed it, leaving only brainless military characters and CGI battle scenes. 1 Construct, Dark Tranquillity (2013) Every time Dark Tranquillity release a new album, it makes my best of the year. I guess I must be a fan then. In truth, they are probably my favourite band and their last half-dozen albums have each been consistently better than the one before. So many bands seem to plateau at some point during their career but DT amazingly just get better and better. This album was on my Best of the half-year. 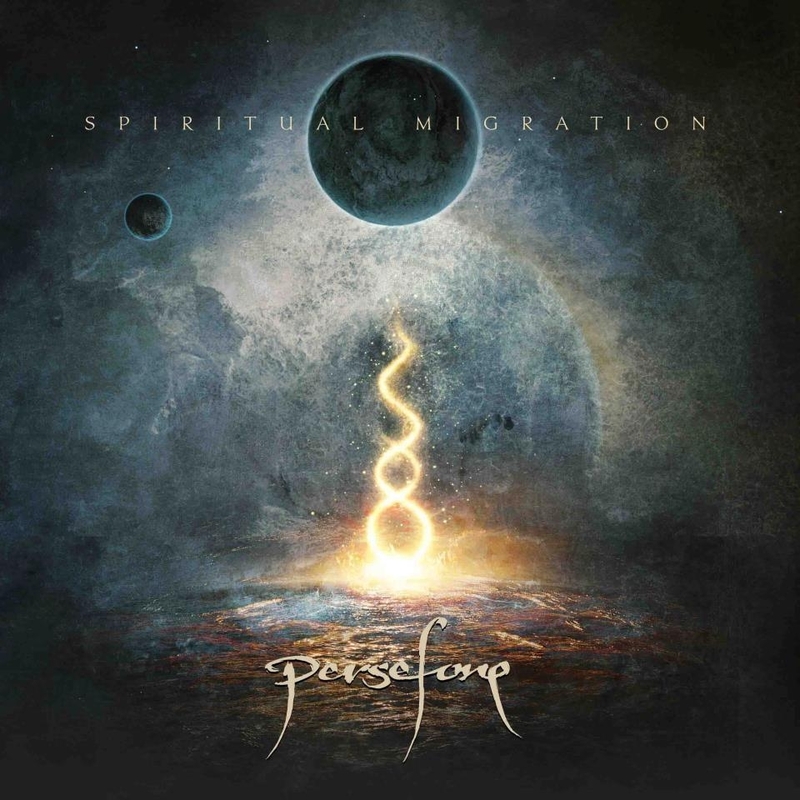 2 Spiritual Migration, Persefone (2013) Another band who improves with each subsequent album. And they’re good live too – although I’ve only seen them the once (they really should tour the UK again; soon). This is strong progressive death metal, with some excellent guitar playing and a very nice line in piano accompaniment. I didn’t buy this album until the second half of the year, which is why it didn’t appear in the half-year list. 3 Death Walks With Me, Noumena (2013) A new album by a favourite band after far too long a wait, so this was pretty sure to make my top five. Noumena play melodic death/doom metal, an inimitably Finnish genre, but they also use clean vocals, and a female vocalist, quite a bit. One song even features a trumpet solo. I posted the promo video to one track, ‘Sleep’, on my blog here. And the album also made my Best of the Half-Year. 4 The Threnody Of Triumph, Winterfylleth (2012) I first saw Winterfylleth live before they were signed back in 2008 at the Purple Turtle in Camden at the Day of Unrest (see here), and I’ve seen them a couple of times since. This, their latest album, shows how far they’ve come and amply demonstrates why they’re so good. They call it English heritage black metal, which I think just means they sing about English historical sort of things (the band’s name is Anglo-Saxon for “October”). Another album from my Best of the half-year. 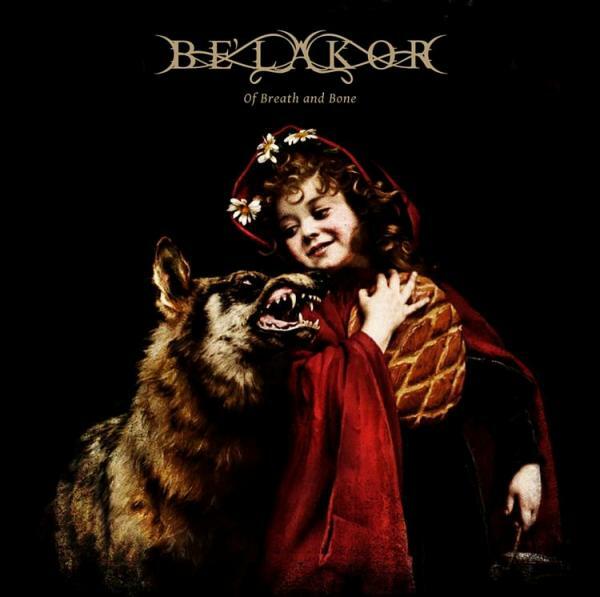 5 Of Breath And Bone, Be’lakor (2012) On first listen I thought, oh I like this, it deserves to be played loud. And it really does – it’s not just that Be’lakor, an Australian melodic death metal band, have excellent riffs, but also that there’s a lot more going on in their music than just those riffs. The more I listen to Of Breath And Bone, the more I like it – originally I only gave it an honourable mention in my Best of the half-year, but having played the album so much throughout 2013, I think it deserves a promotion. Honourable mentions: Dustwalker, Fen (2013), shoegazery black metal that works extremely well; Where the End Begins, Mentally Blind (2013), excellent sophomore EP from a Polish death metal band, with an astonishingly good opening track (see here); Unborn and Hollow, Forlorn Chambers (2013), a demo from a Finnish death/doom band, and very very heavy, sort of a bit like a doomy version of Demilich, in fact, but without the vocal fry register singing; Shrine of the New Generation Slaves, Riverside (2013), more polished, er, Polish progginess, a little rockier than the previous album, although one track does include some very melodic “sexamaphone” [sic]; All Is One, Orphaned Land, proggier than previous albums but still with that very distinctive sound of their own, incorporating both Arabic and Hebrew; and Nespithe, Demilich (1993), a classic piece of Finnish death metal history, I picked up a copy of the re-mastered edition at Bloodstock – there’s a special Demilich compilation album, 20th Adversary of Emptiness, due to be released early next year, I’ve already pre-ordered it. One of the things I really like about metal is that it’s an international genre, and here is the proof – the bands named above hail from Sweden, Andorra, Finland, the UK, Australia, Israel and Poland. There’s also quite a good mix of metal genres, from death to black metal, with a bit of prog thrown in for good measure. Categories: 2013 roundup | Tags: abdelrahman munif, aleksandr sokurov, alfonso cuarón, asghar farhadi, éric rohmer, bel'akor, carl theodor dreyer, daniel woodrell, dark tranquillity, demilich, dh lawrence, dziga vertov, fen, forlorn chambers, isao takahata, italo calvino, jean-luc godard, jindřich polák, joan slonczewski, jurassic london, karen joy fowler, m john harrison, malcom lowry, md lachlan, mentally blind, miklós jancsó, nanni moretti, noumena, orphaned land, paolo sorrentino, paul scott, persefone, riverside, stephanie nolen, studio ghibli, ulrike kubatta, uroš sotjanović, winterfylleth, zal batmanglij | Permalink. It’s halfway through 2013, and it’s proven quite a year so far in ways both good and bad. This post is to celebrate some of the good stuff – namely the best of the books I’ve read, the films I’ve seen, and the albums I first heard during the previous six months. 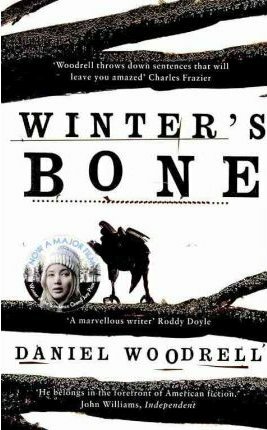 Winter’s Bone, Daniel Woodrell (2006) I read this after seeing and liking the film and I was much surprised to discover it was not some piece of cheap commercial fiction with an unusual setting, but instead a beautifully-written literary novel which happened to use a genre plot. The film is pretty damn good too. I plan to read more by Woodrell. I wrote about this book here. Empty Space, M John Harrison (2012) is the third book in the Kefahuchi Tract trilogy and I really must reread Light and Nova Swing one of these days. If at first I thought Empty Space felt a little undisciplined in its spraying of tropes across its narrative threads, the more of it I read the more I realised how very carefully engineered it was. I wrote about this book here. 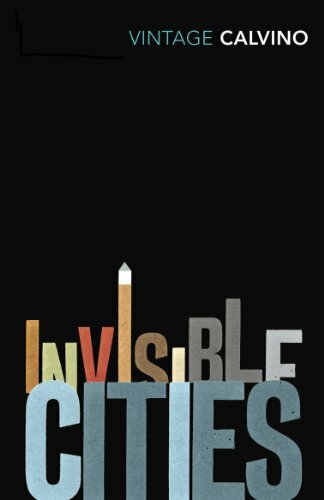 Invisible Cities, Italo Calvino (1972) is the most recently-read book to appear in this list. I had no real idea what to expect when I picked it up, but its lyrical and oblique descriptions of the cities (allegedly) visited by Marco Polo immediately captivated me. I wrote about this book here. The Wall Around Eden, Joan Slonczewski (1989) is one of those books I read and enjoyed, but only realised how well-crafted it was when I came to write a review of it for SF Mistressworks. It reads like a masterclass in science fiction. This book really needs to be back in print. See my review here. Under the Volcano, Malcolm Lowry (1947) Some books just leave you speechless at the quality of the prose, and while I’d already fallen in love with Lowry’s writing when I read his novella ‘Through the Panama’, there was always a chance this, his most famous and most lauded novel, would not appeal as much. Happily, it did. Even more so, perhaps. A bona fide classic of English-language literature. I wrote about it here. Honourable mentions go to Osama, Lavie Tidhar (2011), whose grasp may not quite match its reach but it comes damn close; Before The Incal, Alejandro Jodorowsky & Zoran Janjetov (2012), which matches The Incal for bonkersness and sheer bande dessinée goodness; Underworld, Don DeLillo (1997), which is a bit of a bloated monstrosity, and contains too much baseball, but also features moments of genius; The Steerswoman’s Road, Rosemary Kirstein (2003), which is actually a cheat as its an omnibus of The Steerswoman (1992) and The Outskirter’s Secret (1993) and I only read the latter this year, but it’s an excellent series and deserves praise; Jamilia, Chingiz Aïtmatov (1958), which proved to be a lovely little novella set in the author’s native Kyrgyzstan; and Sons and Lovers, DH Lawrence (1913), which shows with beautiful prose how psychology should be used in fiction. 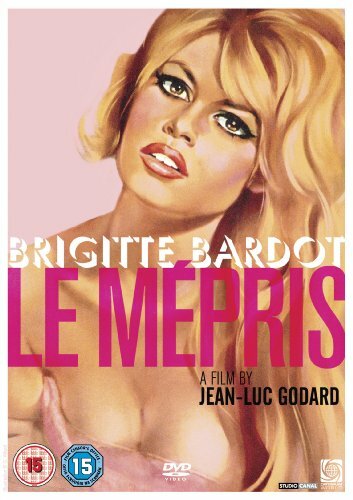 Le Mépris, Jean-Luc Godard (1963) I am not a huge fan of Godard, so I was somewhat surprised how much I liked this film. Perhaps it’s because it feels a little like Fellini’s 8½ (both are about film-making), which is also a favourite film, and looks a bit like something by Antonioni. The Dr Mabuse trilogy, Fritz Lang: Dr Mabuse The Gambler (1922), The Testament of Dr Mabuse (1933), The 1000 Eyes of Dr Mabuse (1960) A bit of a cheat as I watched Dr Mabuse The Gambler in 2012, but never mind. If the first film is a commentary on corruption in the Weimar Republic, the second extends the metaphor to comment on Nazism, and the third further completes it with an off-kilter noir film commenting on the legacy of the Nazis. Classic cinema. 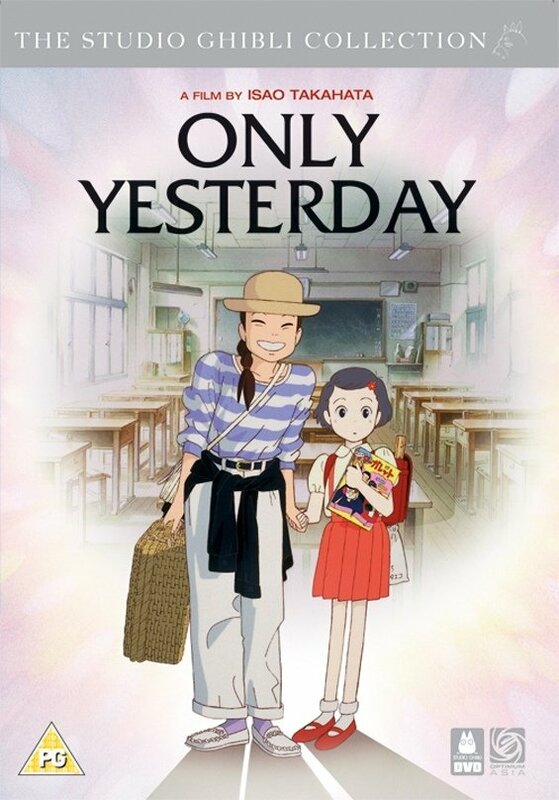 Only Yesterday, Isao Takahata (1991) I’ve been working my way through Studio Ghibli’s output, though I find most of it either twee, cloyingly sentimental or a little juvenile. But not this one. I wrote about it here. About Elly, Asghar Farhadi (2009) For much of its length, this film feels like an art house mystery, but then it takes a turn into something completely different and wholly Iranian. I wrote about it here. 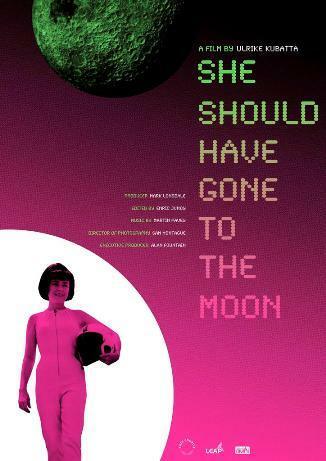 She Should Have Gone to the Moon, Ulrike Kubatta (2008) I bought this as research for the Apollo Quartet, and was surprised to discover it was a beautifully-shot documentary and meditation on the thirteen women who successfully passed the same medical tests as the Mercury astronauts. Honourable mentions go to Gertrud, Carl Theodor Dreyer (1964), grim and Danish and beautifully subtle; Man With A Movie Camera, Dziga Vertov (1929), an astonishing and meta-cinematic document of 1920s Russia; Black Cat, White Cat, Emir Kusturica (1998), broad comedy but also very funny; Le Havre, Aki Kaurismäki (2011), typically deadpan but somewhat cheerier than usual; and The Sun, Aleksandr Sokurov (2005), a human portrait of Emperor Hirohito at the end of WWII. Well, will you look at that, not a single Hollywood film in the entire lot. Instead, we have films from France, Germany, Japan, Iran, Denmark, Russia, the former Yugoslavia, Finland and a documentary from the UK. 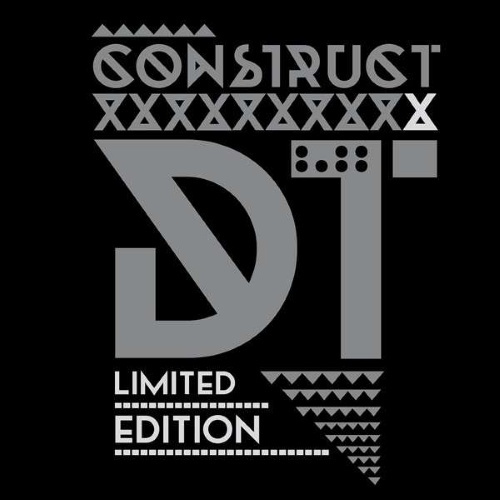 Construct, Dark Tranquillity (2013) A new album from one of my favourite bands, and with each new album they just get better and better. Can’t wait to see them live. 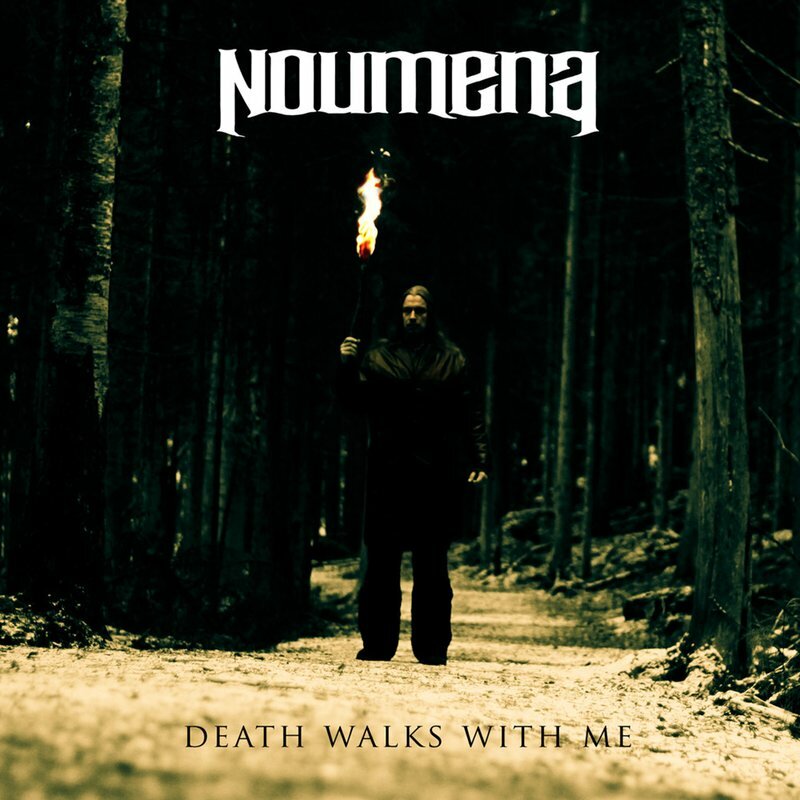 Death Walks With Me, Noumena (2013) A new album from Finnish melodic death metal masters after far too long a wait. Trumpet! 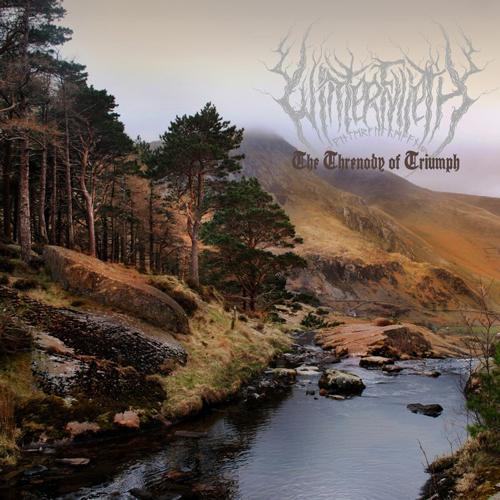 The Threnody Of Triumph, Winterfylleth (2012) They call it English heritage black metal, though I’m not entirely sure what that means – a wall of guitars, with howling vocals layered over the top, some lovely acoustic interludes, and they’re bloody good live too. Dustwalker, Fen (2013) More English heritage black metal but also very atmospheric, perhaps even a bit shoegazer-y in places; a formula that works extremely well. 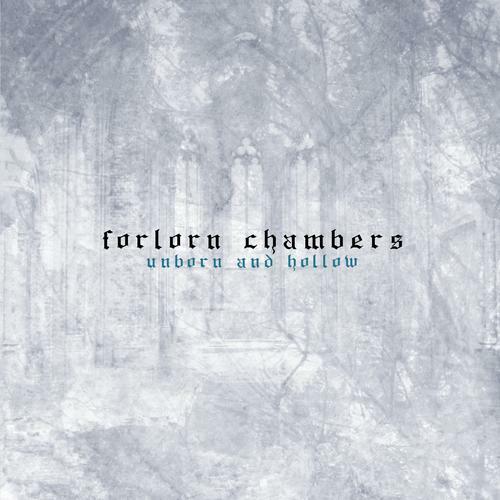 Unborn and Hollow, Forlorn Chambers (2013) A demo EP from a new Finnish band, which mixes and matches a couple of extreme metal genres to excellent effect. Very heavy, very doomy, with a lot of death in it too. I’m looking forward to seeing an album from them. Honourable mentions: Conflict, Sparagmos (1999), classic Polish death metal; Of Breath and Bone, Bel’akor (2012), Australian melodic death metal; Deathlike, Ancient VVisdom (2013), strange acoustic doom from Texas; Where the End Begins, Mentally Blind (2013), accomplished demo from a Polish death metal band. 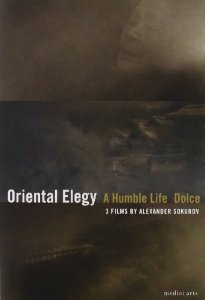 Categories: 2013 roundup, books, films, music | Tags: aki kaurismäki, aleksandr sokurov, ancient vvisdom, asghar farhadi, bel'akor, carl theodor dreyer, daniel woodrell, dark tranquillity, don delillo, dziga vertov, emir kusturica, fen, forlorn chambers, fritz lang, isao takahata, italo calvino, jean-luc godard, m john harrison, malcolm lowry, mentally blind, noumena, sparagmos, studio ghibli, ulrike kubatta, winterfylleth | Permalink. Last year, two Iranian films made my top five best of the year, The Circle and No One Knows about Persian Cats, and a further two I gave honourable mentions, A Separation and The Wind Will Carry Us. About Elly (2009) is an earlier film by the director of A Separation, Asghar Farhadi. Three young middle-class couples from Tehran, with children, are spending the weekend on the shores of the Caspian Sea. Also along is Ahmad, visiting from Germany where he now lives, and recently divorced from his German wife; and Elly, the teacher of Sepideh’s young daughter, who Sepideh is hoping will make a good wife for Ahmad. Right from the start, it’s plain Sepideh is desperate for the weekend to work. When it turns out the villa they had originally booked is only available for one night – and Sepideh knew this – the group end up taking a near-derelict one on the beach. They clean it up and settle in, and so the weekend starts. Elly, however, appears to be uncomfortable with being treated as a prospective wife for Ahmad. Though the two seem to like each other, Elly is stand-offish. When she tries to leave after the first night, Sepideh persuades her to stay, and even goes so far as to hide her bag. Minutes later, Sepideh’s daughter runs up to the men, who are playing volleyball behind the house, screaming that Arshad is in the water. The men rush to rescue him. After some frantic searching they find the boy, floating face-down, but they manage to revive him. Then they notice that Elly is missing. Did she drown while trying to save Arshad? They hunt for her but find nothing. They call the police, but they too cannot find her. Or perhaps she left without saying anything? Was she the sort of woman who would do that? It soon transpires that no one knows much about Elly, not even Sepideh. They contact her mother, but she didn’t even know Elly had gone to the seaside. From Elly’s mobile, they ring the number she last dialled, and get through to her brother. They tell him she has had an accident and is in hospital, and he immediately leaves Tehran for their villa. But he’s not Elly’s brother, he’s her fiancé. As Sepideh reluctantly admits when she learns he is coming. For an affianced woman to go away to meet another prospective husband is not good. Elly’s honour is now at stake. If she did it without the knowledge of the party… While Sepideh’s husband, Amir, admits that he and his wife see nothing wrong with this behaviour, others in the party are less tolerant. About Elly is not just a slow-burning thriller, it’s also a very clever character study of its cast. It begins innocently enough – a group of friends going away for the weekend, laughing and joking among themselves – then settles down to a friendly domestic drama… before taking an abrupt and horrifying turn. When Elly vanished, I will confess I was waiting for the other shoe to drop, for some additional twist to compound the tragedy. 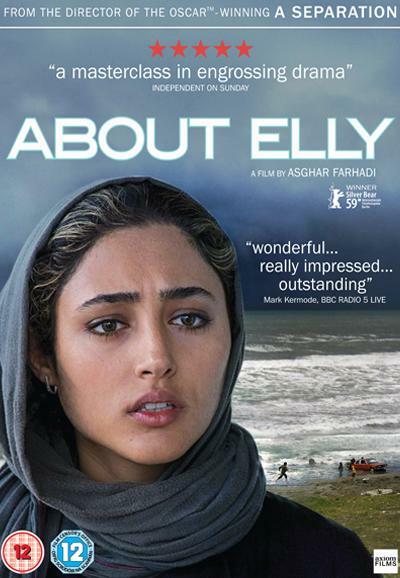 But About Elly is an Iranian film, and the turn it takes after Elly’s disappearance is entirely Iranian. It’s not about twisty turny plots, and how many times the director can wrongfoot the viewer, it’s about character and people and Iran. As a result, the ending is even more affecting. 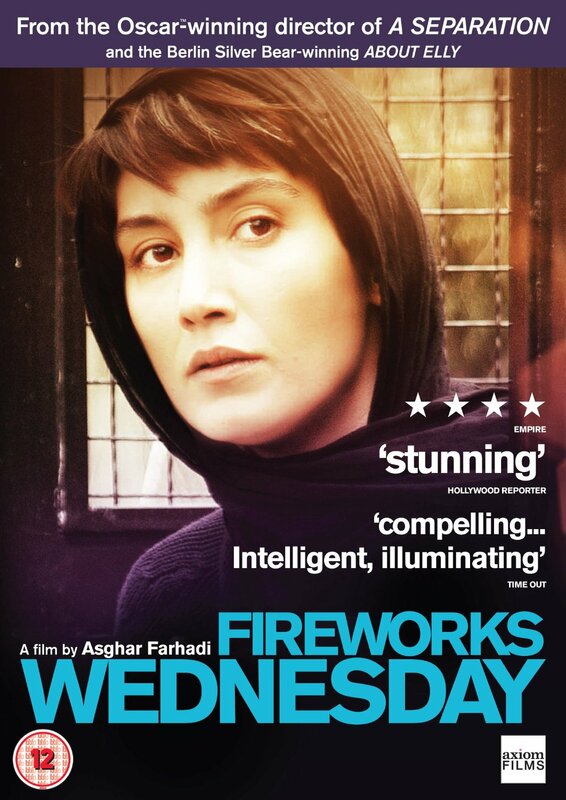 The cast are uniformly excellent, with Golshifteh Farahani as Sepideh especially good. 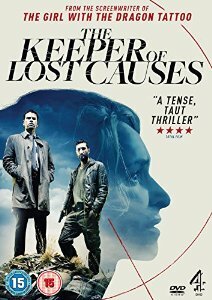 The direction throughout is also excellent, with Farhadi managing to evoke the mood of each section of the story without using any incidental music whatsoever. Categories: asghar farhadi, film review, films you must see, iranian cinema | Tags: asghar farhadi, film, iran | Permalink.